I love Danielle, she is such a superstar and a real talent. Winning The Voice USA in 2013 on Team Blake, Danielle released an amazing self titled debut with Big Machine Records which featured her hit singles The Heart Of Dixie and Young in America. Fans of TV’s Nashville may also recognise her song Yellin’ From The Rooftop which was sung by character Juliette Barnes. The entire album if full of great, catchy pop country tunes but songs such as Daughter of A Workin’ Man and Endless Summer are favourites for me. Daughter of a Workin’ Man is co – written with fellow C2C guest Nicolle Galyon who will be playing the songwriters show Thursday March 8th. Danielle made a brief return in 2015 with a new direction which cited her as the female Thomas Rhett. The song took off well and showcased a new side to Danielle in terms of rapping but it seems both Danielle and her label BMLG agreed this perhaps wasn’t the way to re – invent herself, so with more time off to put in a lot of hard work and energy, Danielle returned with a more mature, creative sound and released her second album I Don’t Believe We’ve Met last year, again, via Big Machine Records. This album certainly shows the more intended mature side to Danielle as well as a softer, more edgy side which really prove Danielle’s worth as both a singer and songwriter as Danielle had a huge part in the writing process of this album too. Sway was her debut single from this album which delivered a more up beat, dance-pop sound but the rest of the album is much more toned down and very ballad focused with hints of R&B which surprised me but in a great way and with a voice like Danielle’s this is far from a bad thing. The piano driven Potential is stunning with a slight hint of a pop/dance beat but live, I think this song will be something else entirely. Soulful songs such as Worth It fall into power ballad category that bleed emotion and Danielle’s ability to deliver this within her vocals comes across very natural and believable. Human Diary should get the emotions going with its heart breaking, relatable and very vulnerable lyrics. The hauntingly beautiful melody bring the lyrics to life and the way they are written and the way they are sung is as if Danielle is reading aloud the diary of every girl, woman who has ever suffered a break up or to anyone who has ever given themselves to someone entirely only to lose that person later in life for whatever reason. 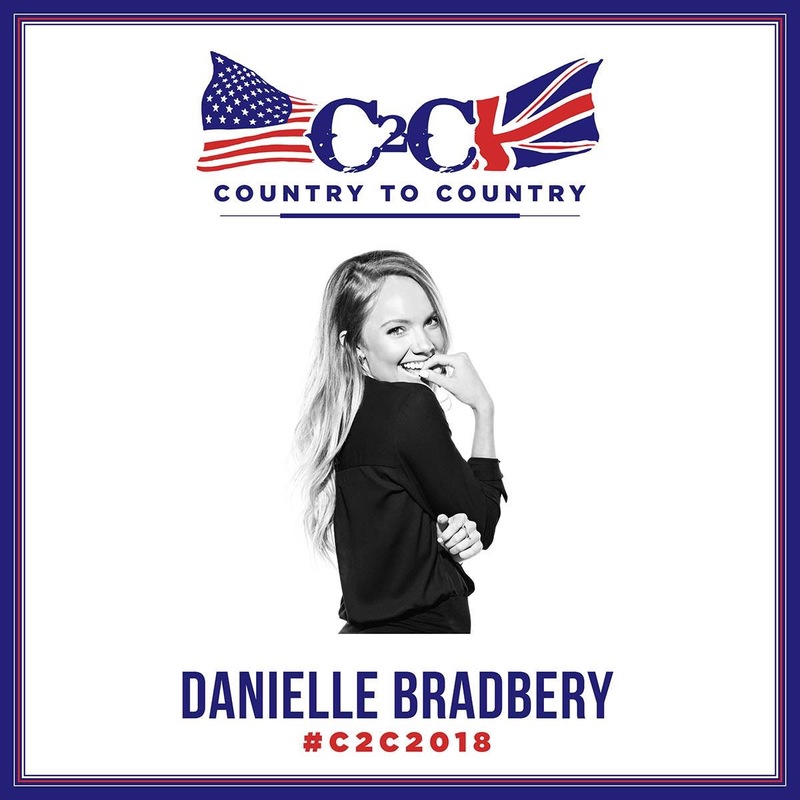 Danielle is another rarity to playing the UK and will be making not just her C2C debut but her UK debut and having seen her life in Nashville, this lovely young star will blow you away. In 2014 I attended Danielle’s first ever fan club party at CMA Festival in Nashville where she performed acoustically. Her voice carried so far and filled the room with her incredible control and powerfully strong vocal that I am in no doubt that she will more than impress her audience both new and old. Great article/ review on Danielle Bradbery and her new and older albums. Her songs from “I Don’t Believe We’ve Met” are amazingly great ear candy by this young lady who’s strong voice is also captivating.